The Microbrewed Beer of the Month Club™ continues to feature some of the best domestic and international beer from around the world. As challenging as it is to name our favorites from the past 20 years, we've come up with the best beers we've featured from Oregon and Portland-based breweries. Discover our complete list of our favorite Oregon breweries and brewpubs here to find your next beer adventure and help "Keep Portland Weird." 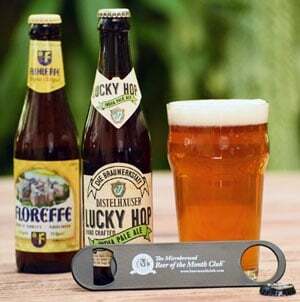 Looking for an unforgettable beer gift for yourself or someone else? Check out our convenient and personalized beer subscriptions.